Newrange Gold Corp. (TSXV:NRG, OTCQB:NRGOF, Frankfurt:X6C) is a mineral exploration and development company based in Vancouver, BC, Canada and focused on the acquisition and development of mineral properties with near term resource and mine development potential in highly favorable jurisdictions. 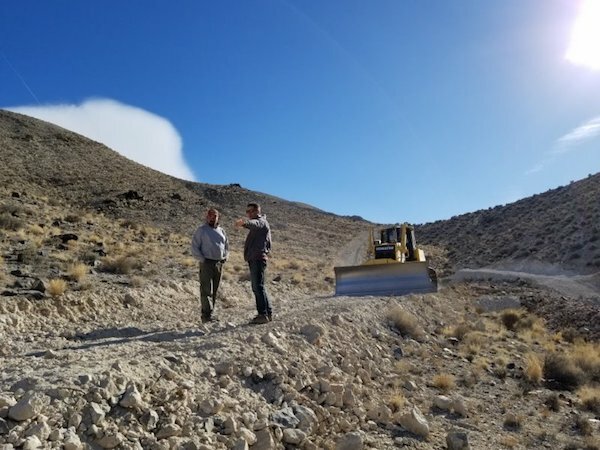 In Nevada, Newrange Gold holds the Pamlico high-grade gold project located in Mineral County. 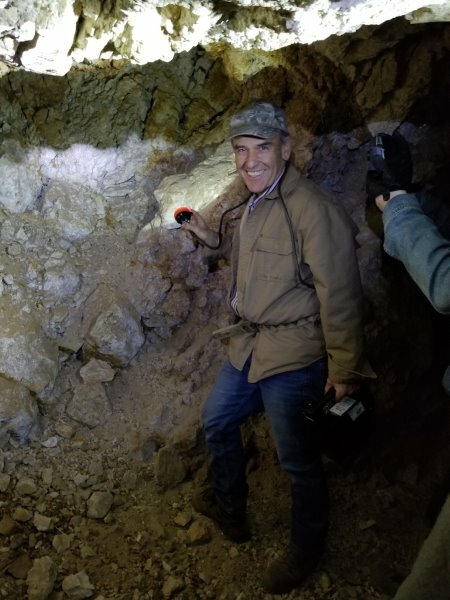 The property is notable for its historic high-grade underground gold production at the Pamlico mine, which was operated in the late 1880s. Newrange’s drilling at the site has returned results of 6.1 meters grading 97.94 g/t gold including 1.5 meters at 340.9 g/t gold. Since acquiring the project in 2016, Newrange Gold has conducted extensive exploration work focused primarily on the Merritt zone including surface and underground mapping and sampling, surveys and three phases of drilling covering 47 holes. The company has also completed structural interpretation and 3D modelling from the drilling data. The Merritt Area represents less than one half of one percent of the entire property and the company’s goal is to replicate its modeling of the complex mineralization across the property. 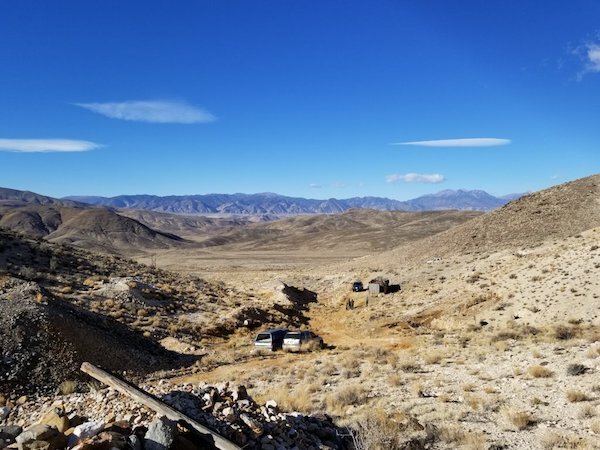 The Pamlico gold project is located 12 miles southeast of Hawthorne, Nevada in the Walker Lane gold trend—one of Nevada’s largest and most productive gold regions. The property covers 1,670 hectaresand includes a number of historic past producing mines. Visible gold dominates the high grade mineralization which occurs in thoroughly oxidized and brecciated quartz veins. A total of 103 drill holes (8487 meters) were completed on the property between 1993 and 2010, by three previous operators. Numerous historic drill holes contain high grade gold intercepts. Highlights are included in the table below. Note: Intercepts are average of all samples in drilled intercept length with no grade capping applied. All intercepts are drilled length. True widths are unknown. Since acquiring the district, Newrange has completed 47 highly successful shallow reverse circulation (RC) drill holes ranging in depth from 90 to roughly 300 meters that confirm near surface, oxide high-grade structurally controlled gold mineralization and also identify previously unrecognized potential for large disseminated mineralization in “halos” surrounding the higher grade zones. Work prior to Newrange’s acquisition included the completion of 29 rotary holes in 2010, a 198-meter-long, 3-by-4-meter decline to one of the high grade zones in 2013, haul road, initial permitting, and all necessary surface and underground infrastructure including shops and office buildings. The decline, completed in 2013, was advanced to within 25 feet of high grade drill indicated mineralization. Two previously unknown gold zones were discovered by Newrange while sampling the. Both contain high-grade but ultra-fine gold in brecciated vein material with abundant iron oxides with 1.5 meter channel samples returning values in excess of 100 g/T Au. Newrange Gold has conducted numerous phases of exploration at the Pamlico project. The first comprised diamond saw cut channel sampling in the Merritt decline, across a continuous 32-meter interval. Assays from the interval showed high-grade results of 17.25 g/t gold over 13.8 meters including 4.6 meters of 26.46 g/t gold. Results also included 1.5 meters of 36.9 g/t gold from one zone and a second zone with 4.6 meters of 10.48 g/t gold. The sampling program more than doubled the extent of the mineralization and identified concrete drilling targets for the Merritt decline area. The first phase of drilling was conducted with the goal of confirming and expanding the high-grade mineralization at the Merritt zone as well as the region connecting the Merritt zone and the Merritt decline. It was also focused on collecting enough material for metallurgical testing. Key highlights from the first phase of drilling include the expansion of the Merritt zone’s shallow potential and results including 0.8 meters of 244.3 g/t gold and 2.3 meters of 58.5 g/t gold. The shallow intercepts found through drilling were within 13 meters of surface. Newrange Gold launched the second phase of drilling in September 2017 with the goal of expanding mineralization further and drill testing targets identified through mapping and sampling. The program covered 10,000 meters of drilling and uncovered two new high-grade gold zones: the K-zone and the N-zone, which were identified as near-surface, oxide gold zones. The K-zone presented drill intercepts including 16.78 g/t gold over 4.6 meters. Meanwhile, the N-zone, parallel to the Merritt zone, presented results of 12.6 g/t gold over 3.0 meters and 4.19 g/t gold over 21.3 meters. 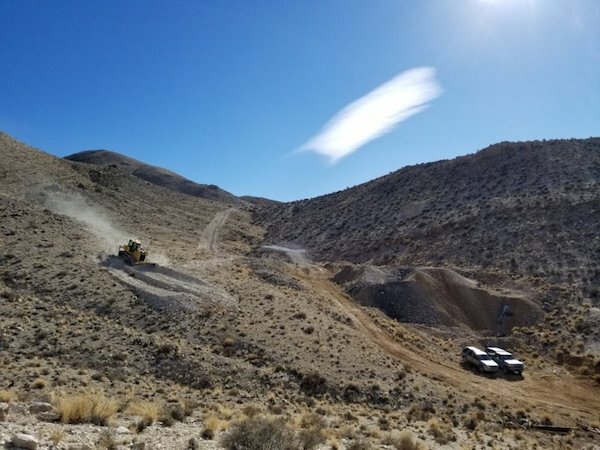 Once all results were reported for Phase II, Newrange Gold confirmed that they had six large, high-potential exploration areas on the project. Following new targets identified through geophysical surveys, Newrange Gold launched its third phase of drilling in February 2018, focusing on the newly identified Tom’s Hammer zone. This phase was focused on working towards developing a resource estimate for the project and gathering metallurgical sampling to determine the ideal metallurgical recovery method. Results reported in July 2018 extended the mineralized gold trend to approximately 1,600 feet on strike from the Merritt decline area. Results from the program included 39.6 meters of 1.48 g/t gold and 86.9 meters of 0.578 g/t gold including 25.9 meters of 1.021 g/t gold. Robert Carrington has over thirty years’ experience in all facets of the exploration and mining industry, as well as in production and executive management. He is the former CEO, Director, of Gold Canyon Resources, and the founder of Newrange Gold. Robert Archer has more than 35 years’ experience in the mining industry, working throughout North America and Peru. After spending more than 15 years with major mining companies, he held several senior management positions in the junior mining sector and co-founded Great Panther Silver Limited, an emerging mid-tier precious metals producer. He served as President & CEO of Great Panther until August 2017 and remains on the Board of Directors. Mr. Archer has been a shareholder of Newrange for many years and took a more active role by joining the Board of Directors in March 2018. He is a Professional Geologist (registered in British Columbia) and holds an Honours BSc from Laurentian University in Sudbury, Ontario. David Cross is a Certified General Accountant and is a partner in the CGA firm of Cross Davis & Company LLP. Cross began his accounting career in 1997 and obtained his CGA designation in 2004. Ron Schmitz has extensive experience in the governance of junior sector companies, a strong financial background and currently on the boards of Blackbird Energy Inc. and Black Lion Capital Corp.
Paul Wang has an extensive banking and financial background specializing in natural resource, mergers and acquisitions. David Salari is a Professional Metallurgical Engineer with more than 30 years experience. He has been involved in the design, supply, and commissioning of mining and mineral processing systems throughout the world for gold and silver, base metals, and industrial minerals. Born and raised in Medellin, Colombia, studied law at University of Medellin with extensive business and legal background in Colombia. *Disclaimer: The profile provides information which was sourced and approved by Newrange Gold Corp. in order to help investors learn more about the company. Newrange Gold Corp. is a client of the Investing News Network (INN). The company’s campaign fees pay for INN to create and update this profile page, to which links are placed on Investingnews.com and channel newsletters. The company description, investment highlights and catalysts were sourced by INN and approved by the company. INN does not guarantee the accuracy or thoroughness of the information contained on this page. INN does not provide investment advice and the information on Investingnews.com profile should not be considered a recommendation to buy or sell any security. INN does not endorse or recommend the business, products, services or securities of any company profiled. By completing this form, you are giving consent to receive communication from Newrange Gold using the contact information you provide. And remember you can unsubscribe at any time.